Your trees, plants and hedges are a rich asset to your property, adding beauty and value to your dwelling. But, if they aren’t cared for properly, a whole host of issues can arise. Uncared for, they can overgrow, suffer from poor development, bad health and cause immeasurable damage to your property. In some cases, they can become a hazard – growing into electrical lines, or running the risk of falling and causing accidents. Qualified and Skilled Arborists are a Must! At The Tree Cutting Company we understand the importance of correct pruning and maintenance of your trees & hedges. Unskilled and unqualified arborists can cause significant damage to your plants, wounding them and ruining their aesthetic value. We have sound knowledge of the Australian Standards 4373-2007 for Pruning of Amenity Trees and utilise the best practices and approved techniques for pruning your plants – our services will ensure the longevity and health of your flora in general. Removing limbs that interfere with wires, building facades, gutters, roofs, chimneys, windows or obstruct streets or pathways – ensuring your safety and peace of mind when it comes to protecting your trees, property and family! We’re a small business with over 15 years experience – offering expert and dedicated service with a personal and friendly touch. Our prices are extremely competitive. 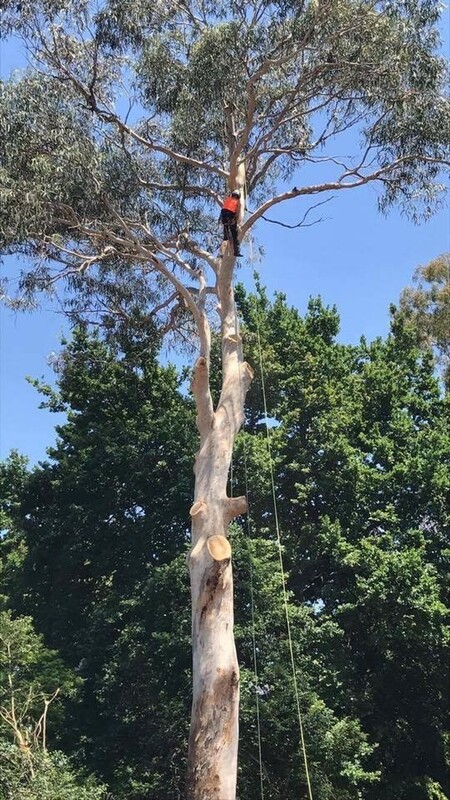 We’re approved members of the tree industry body – Arboriculture Australia – so you can feel comfortable in our professional, safe and caring service! Trees are our speciality – let us give you a FREE quote today and keep your trees looking amazing!